The market makes traders boring. This situation is likely to continue for the next few months. Gold: Gold prices are likely to drop a little more. 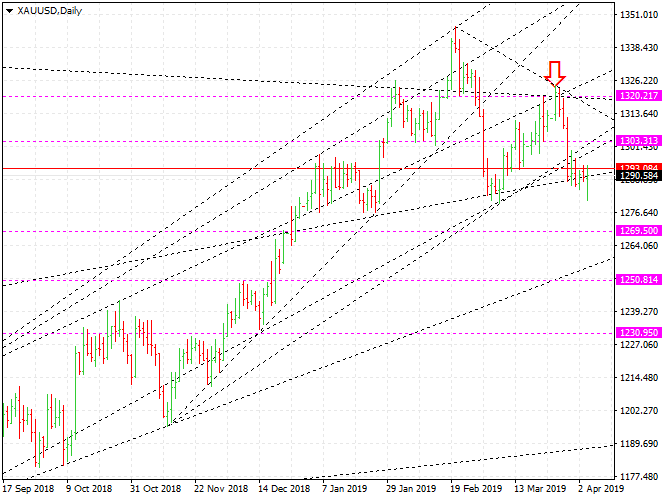 If XAUUSD goes up, it will be an opportunity to sell. The resistance line is $ 1303. It will drop to $ 1269. The silver is likely to fluctuate severely. XAGUSD is on a weak support line of $ 14.95. The resistance line is $ 15.37. The XAGUSD will decline to at least $ 14.68. I will hold the sell-position. Platinum is skyrocketing. On March 20th, I said that someone seemed to be managing platinum. They seem to be trying to shoot platinum up as like palladium. They seem to be the very people who want gold to go up. The price to say whether platinum goes up like a podium to the sky is $ 930. We need to be interested in platinum. If we wait, a good buying opportunity will come to us. WTI: There is no change in the crude oil market. Crude oil prices hit their resistance lines. They will keep going up. I said long ago that the WTI's primary resistance line would be $ 63. The WTI is now at that price. When prices fall, we will be able to find an opportunity to buy. Euro: The euro lost its direction. EURUSD is held between 1.1173 and 1.133. If it goes up, it would be better to find opportunities to sell. EURUSD will fall to 1.037.